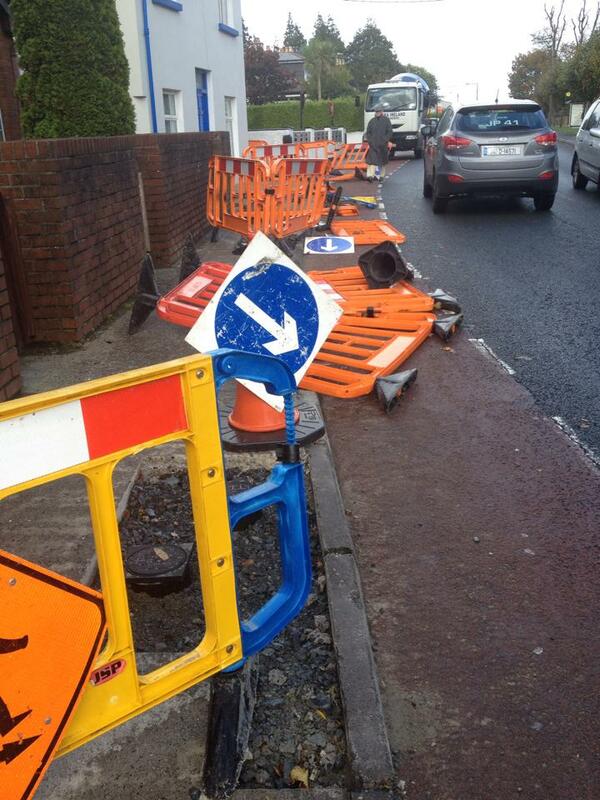 Cllr John Brady has described a situation on the Vevay road in Bray as a very dangerous mess left by the contractors working for Irish Water. Most of the barriers that were erected have blown over onto the main road, leaving dug up foot paths exposed. People are stepping out in front of cars to avoid the obstacle course. Health and safety leaves a lot to be desired. I have contacted them and demand that the situation be addressed immediately before there is a serious accident.